DEFRA currently have an open consultation that seeks views on the UK government’s proposals to introduce four new measures designed to increase transparency and accountability in the process of felling street trees and to strengthen the Forestry Commission’s power to tackle illegal tree felling. Two of the measures introduce new duties on local authorities: a duty to consult on the felling of street trees; a duty to report on tree felling and replanting; while the third suggests the production of best practice guidance to support local authorities in drawing up, consulting on and publishing a Tree and Woodland Strategy. The duty to consult is intended to ensure that members of the public are appropriately consulted on the felling of street trees, which can contribute positively to the quality of life for people in urban areas. The duty to report would require local authorities to collate and report information on the felling and replanting of trees in a uniform way. This would increase transparency and allow the government to monitor tree felling at a national level, helping to make sure we maintain and enhance the natural capital benefits of trees. Tree and Woodland strategies would help local authorities to set out the principles that support their tree management activities, thus both increasing transparency and accountability and improving stakeholder and public engagement. The fourth measure is intended to give the Forestry Commission more powers to tackle illegal tree felling and strengthen protection of wooded landscapes. All of these proposals could contribute to the protection and enhancement of the natural environment, and help deliver the government’s ambitious 25 Year Environment Plan. This consultation seeks views on these measures and their implementation. This entry was posted in built environment, comment and tagged consultation, DEFRA, trees, Urban environment on February 1, 2019 by martin brown. We often asked by Constructco2 users, can we offset by planting trees on site and if so how much carbon is ‘offset’? The answer is not at all straight forward and publications / papers / articles found on the internet do not agree. However, the amount of carbon stored by a tree depends on its size, and age: young trees will absorb carbon dioxide quickly while they are growing, but as a tree ages a steady state would eventually be reached. At this point the amount of carbon absorbed through photosynthesis is equal to that lost through respiration and decay. A tree can absorb as much as 24kg of carbon dioxide per year and could potential sequester 1 ton of carbon dioxide by the time it reaches 40 years old. On average, each National Forest tree will sequester 79kg of carbon, equivalent to 290kg of carbon dioxide, over an 80 year period of growth. A recent study carried out at Kielder Forest has calculated that the Forest’s 150 million trees lock up 82,000 tonnes of carbon* annually. This means that as a rough estimate each tree at Kielder is locking up 0.546 kg of carbon per year. It is better to offset in forests rather than individual trees asm within the UK, forest soils contain around four times as much carbon as the trees. CO2 is absorbed from the atmosphere by trees during their growth through photosynthesis. The carbon element of the CO2 absorbed remains locked into the timber until its End of Life. The sequestered carbon should though only be considered a benefit in the scope of (any) carbon assessment when the timber is sustainably sourced – certified by FSC, PEFC or equivalent. This is to ensure that any trees felled are being substituted with a minimum of the same number of trees planted and therefore not contributing to deforestation and not compromising the overall carbon- absorbing capacity of woodlands. Understanding definitions. The language used when talking about carbon in trees and other eco systems is important. Biogenic carbon. The carbon sequestered in timber or other bio-based materials.If we are concerned with using trees to offset our construction carbon emissions then we need to address the tree’s sequestration and storage of CO2. Sequestration The natural process removing (ie seizing) CO2 from the atmosphere and storing it within biological material. Sink A carbon ‘sink’ is where there is a net transfer of carbon from the atmosphere to the (tree/forest) A forest only remains a sink while its carbon stock continues to increase. The most important point is that offsetting – whether through tree planting or not – should not be the first consideration; reducing emissions should always be the main objective. Perhaps value engineering to increase materials that have a high carbon store (eg timber) in lieu of materials that have a high embedded carbon footprint through processing (eg concrete) may prove a more viable carbon option. When a tree dies the carbon that is stored in its biomass is either released to the atmosphere or added to the carbon in the soil through decomposition. The rate that carbon is released back to the atmosphere can be controlled by reducing the rate of decomposition, for example by using timber to create long-lived wood products. However, eventually most of the carbon sequestered by the tree will be returned to the atmosphere where each tonne of carbon will be converted to about 3.67 tonnes of carbon dioxide. UK woodland, especially native species, in addition to providing the habitat for our incredible natural biodiversity, provide a wide range of “ecosystem services” such as the control and condition of water supplies, mitigation of surface water flooding, provision of shade, shelter, control of pollution. Woodland plays a far greater role in the move to a low carbon economy than simple carbon sequestration by trees. If planting (additional) trees on site obtain a carbon figure from the projects ecologist or landscape architect. (ConstructCO2 can arrange one for you). You cannot count the landscape design as offset for your construction emissions. A very rough figure for guidance, for each additional young tree planted on the project 1kg CO2 per month that the tree will be growing. Consider and promote the regenerative benefits of trees, which will be far greater than simply carbon offsets. If looking to offset your construction CO2 through tree planting offsets – use a certified organisation and ensure that the offset is an additional measure, and not counted elsewhere. Consider offsetting to schemes that protect, enhance soils and bring peat bogs and moss lands back into healthy, carbon sequestration eco systems. This can be a higher co2 sequestration than trees. Consider increasing project materials with a high carbon store – locking greater levels of carbon into the building through sustainability focused value engineering. A single tree can absorb CO2 at a rate of 12kg per year. Trees act as natural pollution filters by absorbing pollutants through the stomates in leaf surfaces. Trees lower temperature by transpiring water and shading surfaces. An acre of trees absorbs enough CO2 over one year to equal the amount produced by driving a car 26,000 miles. Trees provide food and wildlife habitats. Trees recharge ground water and sustain stream flow. One large tree strategically placed can replace 10 room-size air conditioners operating 20 hours per day. This entry was posted in carbon, comment and tagged carbon, constructco2, sequestration, timber, trees on July 24, 2018 by martin brown. I wonder if the swallows that nest in the chimney of my Suffolk farmhouse have the faintest idea how profoundly they affect my emotions. When they first arrive from the south in spring, and I hear the thrumming of their wingbeats amplified to a boom by the hollow brickwork, my heart leaps. They seem to bless the house with the spirit of the south; the promise of summer. Swallows have such a strong homing instinct that it is quite possible this same family of birds, by now an ancient dynasty, has been returning here to nest for the 450 summers since the chimney was built. When the household swallows fly away to Africa, I get restless. I suppose I envy them. I certainly miss standing by the fireplace at night, eavesdropping on their dormitory conversations in the mud nests above. Swallows never fail to stir the nomad in me, too. Do read the rest of the article Follow the swallows: Roger Deakin’s days hitchhiking to the sun, it is a great read, a rights of passage of schoolboy french, heading south, hitchhiking delights of the 2CV or Citroen DS, the goddess of the French road. It rekindles in me my my own memories of hitch hiking down through France, sleeping on Corsican beaches, grape picking and climbing around the Mediterranean. 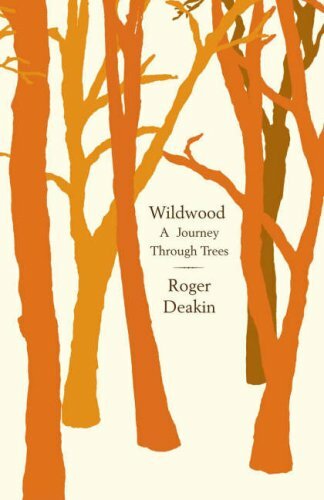 This entry was posted in comment and tagged biophilia, Guardian, nature, Roger Deakin, timber, trees, Walnut Tree Farm, Wildwood on May 31, 2015 by martin brown.